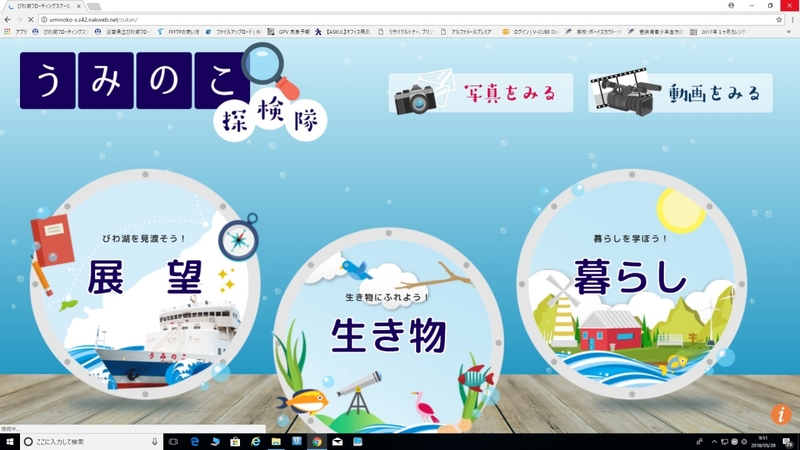 "Uminoko" offers a learning environment on a ship for elementary school students and special assistance schools in Shiga Prefecture as well as 5th graders from various other school. The ship focuses on creating an environment that enables children to deepen their learning safely and with peace of mind using the following facilities and equipment. The draft is 50 cm deeper than the original ship at 1.5 m, and the ship is equipped with two Z-drive propulsion systems for optimal sailing performance. When docking and undocking, two pump jet-type bow thrusters are used together to ensure safe and quick operations. Safety equipment includes vertical rails to prevent falls, sleep warning devices to ensure safety while sleeping, security surveillance TV cameras, nighttime security sensors, a 25-seat rescue raft, life jackets, life buoys, escape ladders, and a high-speed rescue boat. The use of an electric propulsion system is more environmentally friendly, and the ship’s interior sound environment has been enhanced to provide a more comfortable living environment. Emphasis is placed on improving the environment inside the ship for inclusive education. The interior was designed to provide a universal design with improvements that include lifters and an elevator for moving people, slopes, tables with adjustable height, an accessible toilet, and tactile surfaces. In addition, a health room and care room have been added to create an environment where children can live with greater peace of mind. In terms of educational facilities, the ship provides teaching materials to enable diverse activities aboard the ship. The five-deck ship features space for various learning activities, including a multipurpose room and a classroom that doubles as a dining hall where children can come together as well as a laboratory where scientific learning takes place. The inside of the ship is equipped with a wireless LAN environment, enabling tablet computers to access landscape images of Lake Biwa, pictures of living organisms as well as the route, water depth and other data obtained from the navigation system. In addition, the tablet computer software can be used to exchange ideas and organize thoughts.